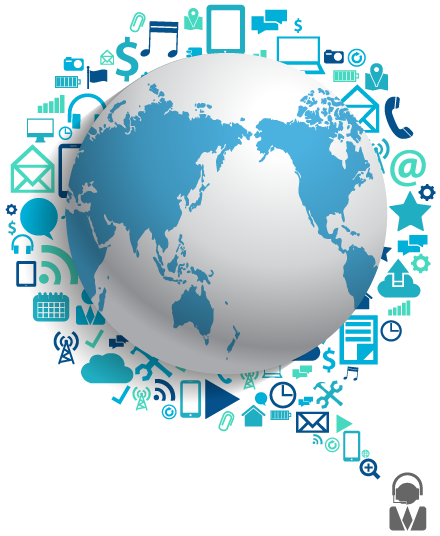 Domain Name Registration - Need a great domain name? Every website starts here, with a great domain name! A great domain name is at the core of every online business, blog, website, and e-commerce destination. Your domain name is like the title of your book, describing to your visitors what they will find inside. Choosing the right domain is vital. It can tell people anything from what your mission is to where you come from. We offer a variety of domain extensions, making it possible to get your message across through your domain no matter what you are saying. Choosing an appropriate domain name is critically important; it’s how customers will find your business online. Below you will find some helpful tips to keep in mind when you choose a domain name. 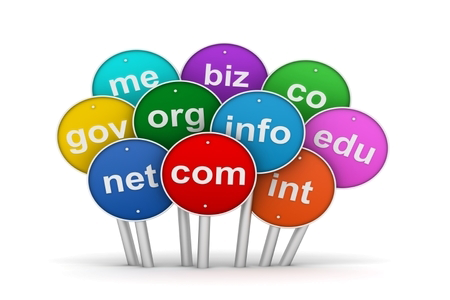 Choose a domain name that is as close to your company name as possible (e.g., www.yourbusinessname.com). If your website is based on a specific brand, service or product, you may prefer to choose a domain name accordingly. Register your domain name suffix first. Start with .com, the most recognizable suffix. When people look for your site on the web, they’re likely to try your company name first with the .com suffix. If .com is not available, consider using some of the alternate options like .ca, .net, .org (for non-commercial), .us, info, or any of the other 52 domain suffixes we can register for you. To choosing the perfect domain name! Keep your domain name as short as possible. If you choose to use abbreviations, work with the most recognizable words in your company name. Select a domain name that is easy to pronounce, understand, remember, and spell. You can only use letters, numbers, and hyphens (“-“). Spaces and other symbols cannot be used, nor can names that begin or end with a hyphen. Domain names are not case sensitive. They can be between 2 and 63 characters in length, not including the domain extension (i.e: .com, .net, and .ca.). Please call 1-866-320-0011 or fill out the form and we will get back to you as soon as possible. Why Choose AllCore to Register Your Domain? A new domain name and an SSL certificate can give your website the professional image you need to take your business to the next level. A domain name is a unique address or identifier on the World Wide Web. One easily recognizable example is google.com: Type that domain name in your browser address bar, and the worldwide system of name servers connects your computer to the content of the Google website. In the “Register A Domain” text box above, type the domain name you want to register. Click “GO”. The response shows whether the domain name you typed is available, and also shows other alternatives that are similar that you could register. Yes. We offer Auto Renewal for your domain names, which renews domain names before they expire. To enable Auto Renew, login to the AllCore Customer Care Portal (link at the top of the page) and on the navigation bar at the top of the screen click “My Domains” then click the button that says “View Details” beside the domain you want to edit. Then on the next page, click the button that says “Enable AutoRenew” and then click the “back” button at the bottom of the page. If you would like, you can e-mail or call our customer care team, and we would be happy to enable Auto Renewal on your domain(s).